A group of small-time thieves attempts to make a burglary of a local pawnshop in this black & white Italian caper movie. 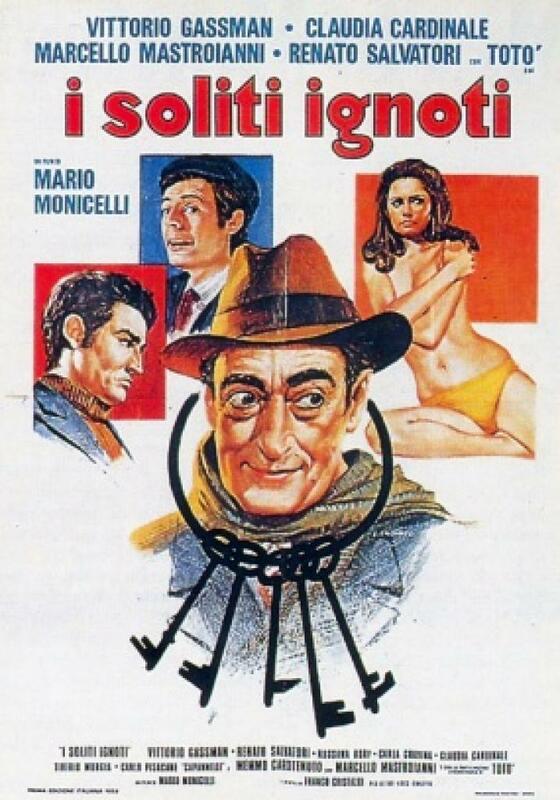 'I soliti ignoti' is generally seen as parody of a very influential big heist movie of the time and one of the heist classics of all time; 'Rififi' (Du rififi chez les hommes - 1956. Also available in this blog). 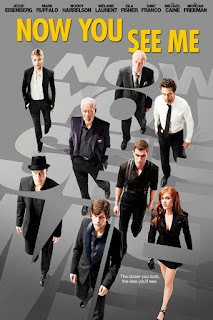 It is a small caper about small-time thieves who live in a poor neighborhood. It is often funny, sympa and didn't bore me for a moment. However, since it is a comedy, one might find it hilarious, while another might find it boring. There are 3 great, legendary Italian actors in the cast; Vittorio Gassman, Claudia Cardinale and Marcelo Mastroianni. Generally positive reactions both from the critics and the audience. A modest reputation in its genre. A Silver Seashell in San Sebastian International Film Festival and a nomination for Best Foreign Language movie in Oscars (which is the only one in the blog so far). Being voted as one of the 'The 50 Greatest Comedies of All Time' by Premiere. Being the inspiration of a Broadway Musical (Big Deal). I believe, you have enough reasons to give a shot, especially since you are in a robbery & heist movies blog. I absolutely didn't regret.